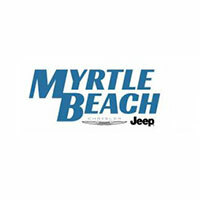 Myrtle Beach Chrysler Jeep has been serving the Grand Strand area for over 21 years with commitment and dedication in our Service, Sales​,​ and Parts Departments.​ ​Over the years, owner Bobby Gale has been a proud member of the community, serving on several charities in the neighborhood including the American Heart Association (AHA) and several local rotary clubs. As a family owned and operated business, we make sure to create a family atmosphere where we TREAT YOU​ FIRST​ ​on a daily basis.​ ​We understan​d tha​t ​whether you are leasing or purchasing a​ ​New​ ​or​ ​Pre-Owned, you are making a​ ​big commitment. That’s why we will take the time​ ​to listen to your needs and concerns to make sure you choose a car that’s the right fit.​ ​It is our job, and our pleasure, to find the right vehicle for you–and we’ll do it with​ ​INTEGRITY to​ ​ensure you get the best customer experience. Our​ ​Service Department has state of the art equipment and a highly trained team of technicians to handle any issues you have with your Chrysler, Jeep or Dodge vehicle.We handle everything from rebuilt transmissions to regular scheduled maintenance. And if you prefer to do your own maintenance, our Parts Department has you covered! We carry manufacturer-certified parts to make it convenient for our customers. We are looking forward to making you part of the family! Don’t waste time. Stop by our dealership today at​ ​785 Jason Boulevard • Myrtle Beach, SC 29577or schedule an appointment with our Service or Sales Department at​ ​843.448.1191. Bobby Gale came to the Grand Strand in 1996. Brought his life, family, and future to Myrtle Beach to start Myrtle Beach Chrysler Jeep. Here we are, over 20 years later, and he is still in business. And what a fantastic business it is. This really is the place to be. Myrtle Beach Chrysler Jeep is a wonderful place to put down roots and make a place, with enough room to grow. We have employees that have been with Bobby since day ONE. Two of them to be exact. In addition to the “whole-timers”, we have long tenured employees in multiple departments. A 20 year ASE Certified Master technician. A Chrysler Gold Certified Salesperson that has been with us for 18 years and another for almost 13 years. With 15 employees that have been with us for over 13 years…it’s safe to say that you can make a home here! Myrtle Beach Chrysler Jeep is a family owned and operated company. Bobby has an open door policy. We work to make a living, and the definition of living isn’t working! We look forward to the future while not losing sight of the last 20 years. The team at Myrtle Beach Chrysler Jeep welcomes the chance to have a new member that realizes that their actions, every day and every moment, have an impact on the whole Dealership Family. We are a team, and every person matters in a team. We all play a part in making the customer feel right at home. We are also involved with a number of charities and organizations, including the American Red Cross, United States Marine Corp Toy’s for Tots Annual Toy Drive, Beachcomber Shriners, Sandy Grove Baptist Church, Carolina Forest Elementary, Carolina African American Heritage, Myrtle Beach Sunrise Rotary Club, Beach Ball Classic and many more! If you share our beliefs, please take a look at our open position on the Careers page and apply today!